We believe strongly that ecotourism and responsible travel in Sumatra can help safeguard the still-untouched forests deep within the Kerinci Seblat National Park. With a growing population within a valley completely surrounded by protected land, and a severe lack of reliable employment opportunities, ecotourism goes a long way in giving people alternate means of income without further encroaching into the National Park. Protecting the rainforest is not just about wildlife and the environment. Over 7 million people (about 15% of the total population of Sumatra) and 10 million hectares of agricultural land rely directly on waters that these forests provide – including the cities of Padang, Palembang, Jambi, and Bengkulu. Primary forests help to reduce flooding in the rainy season and reduce drought in the dry season – vitally important for people who live and work so closely with the land. They also capture millions of tons of carbon every year, and likewise produce oxygen. Consequently, they’re a major contributor in helping to slow climate change and giving us all a breath of fresh air. 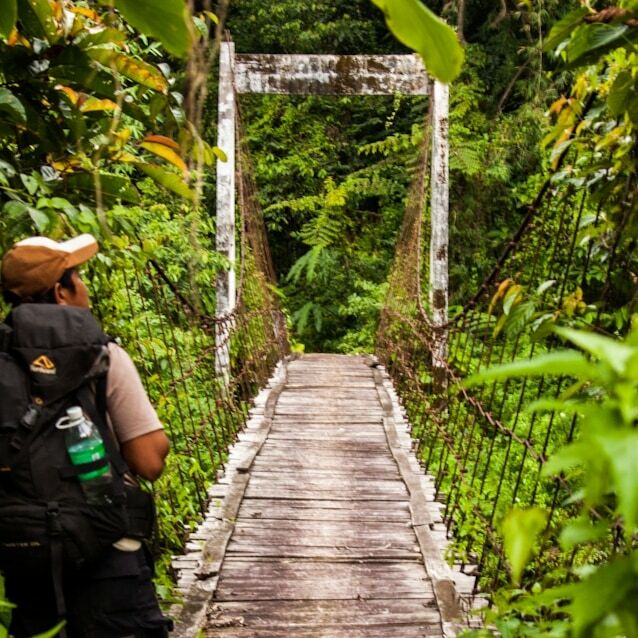 When you travel with us, you are providing much needed alternative income sources to the region, and providing tangible proof that the jungle and wildlife within are more valuable preserved as they are rather than when exploited into oblivion. 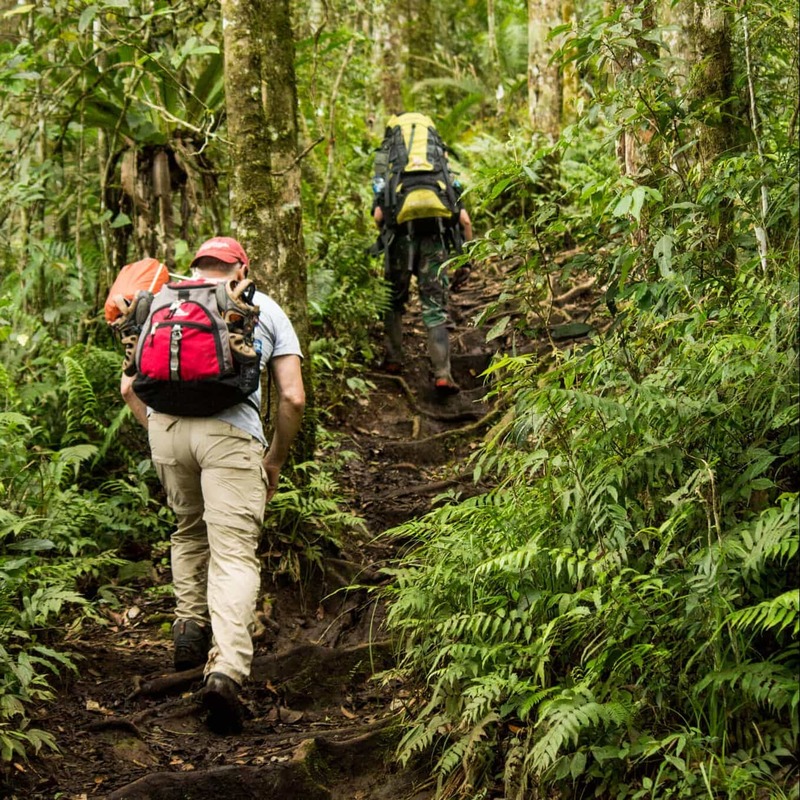 Our treks are all small-group, low-impact hiking and camping expeditions that provide sustainable livelihoods to forest-edge communities. As a social enterprise fed up with tourism leakage, we are committed to keeping 100% of money spent on our trips within the Kerinci region (with the possible exception of Indonesian taxes and government fees – it’s not always clear where those end up). We are proud that 5% of the total cost of our trips goes directly to WildCats Conservation Alliance in support of wild tiger conservation projects in the Kerinci Seblat National Park. After all, a healthy tiger population means a healthy forest. Travelling in rural Sumatra can be tough— even for the adventurous. There is very little infrastructure and few English speakers ready on the ground. This can make visits, especially to the most wild places of Kerinci, challenging without prior planning and connections. 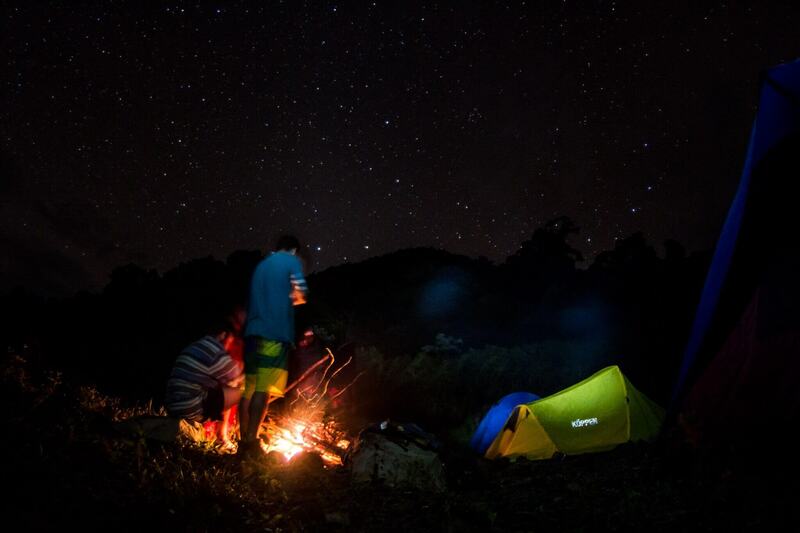 We know it’s popular among backpackers and independent travelers to try to do everything on their own for a more “authentic” experience, and many believe that they’ll see more if they strike out on their own. However, in our time here, we’ve seen that many who travel to Southeast Asia with this idea usually end up trapped in the same touristy areas as everyone else, as it’s the path of least resistance. This is one reason why places like Bali, Phuket, and even Bukit Lawang are beginning to exceed their carrying capacity, if not already far beyond it. If a traveller does get off the banana pancake trail, they often end up frustrated that things didn’t go quite as smoothly as expected, or that they weren’t able to find that rumored hidden gem. Don’t underestimate the importance of a knowledgeable insider! 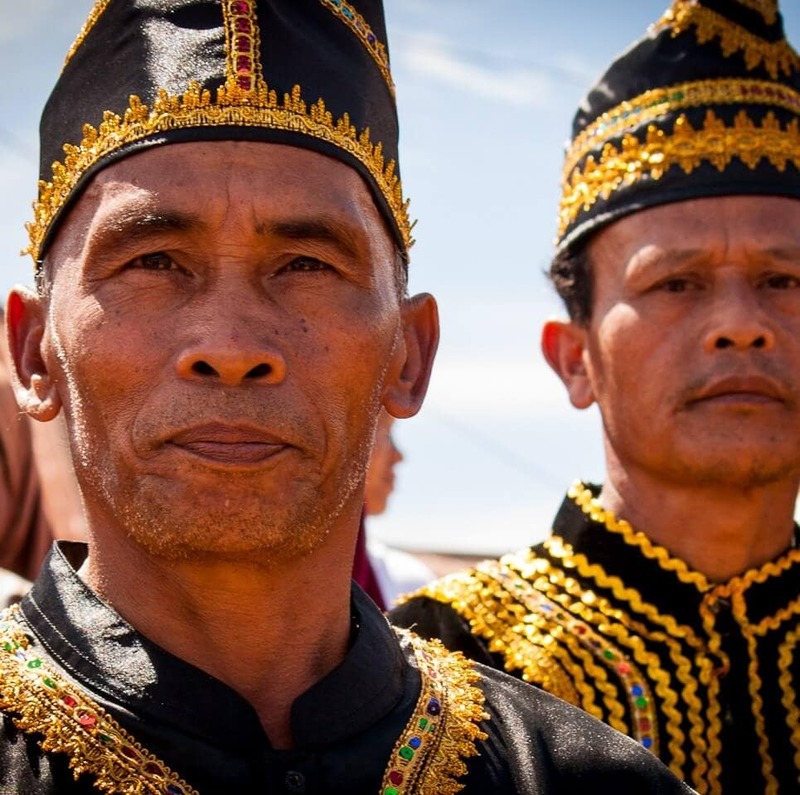 For the people of Kerinci, despite their eagerness to show the world their piece of heaven, they often need support in connecting and communicating with travelers abroad. That’s where we come in. Since we live and work in Kerinci 24/7, we know the area and the people here on the ground on a personal level. For visitors interested in really exploring off the beaten path Sumatra, trying new experiences, making friends, and escaping the tired tourist trail, Wild Sumatra is here to help. And in doing so, it’s creating a fine alternative means of income to support Kerinci families and protect these beautiful forests. We believe strongly that forest conservation through ecotourism is most effective when local community members are directly involved and empowered in their roles. This is why we spend significant time working with villages to educate on conservation and sustainable tourism practices, and identify and help develop local leaders. 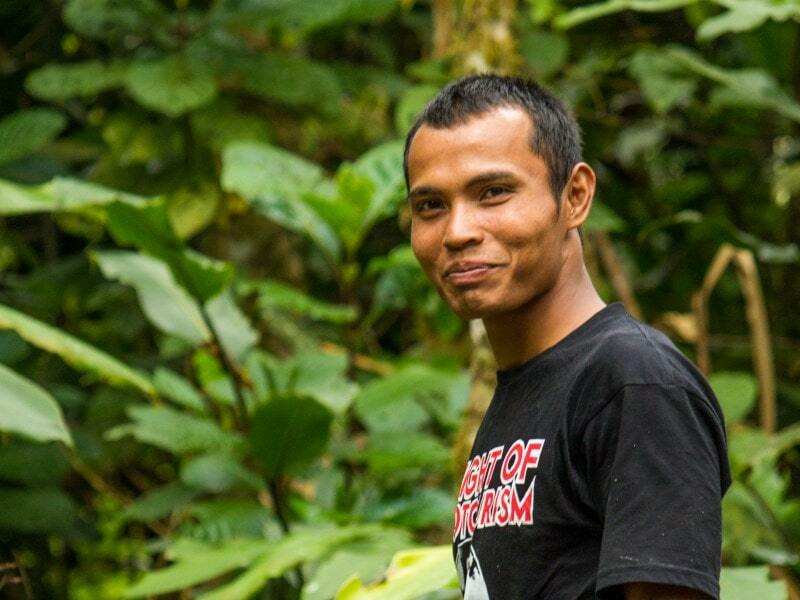 This is also why we are committed to working solely with guides from Kerinci, and work hard to make sure that all guides and porters come from the communities as close as possible to the forest-edge or site of interest. We also strive to partner with guides that are both experienced in the forest, and experienced with English. However, as tourism to the area is still so new, many guides are still in the process of learning, and may not be 100% proficient. Thank you for supporting and encouraging them in this learning process! To be clear: as advocates of community-based ecotourism, only local guides accompany visitors on trips with Wild Sumatra unless it’s an exploratory or training trip. Our guides are all independent—we simply work together with them in equal partnership to support their goals and assist them in areas like training and development, marketing their services, networking, email communication, logistics and planning. Wild Sumatra in Kerinci is not a tour operator, but rather a platform to assist local guides in promoting the Kerinci region and their services to a wider global audience. When you book a tour on this website you are booking a tour directly with the local guide. In this way, it is the locals at the grassroots who have full ownership and control, with us non-locals only in a supporting, consulting, partnership, and advocacy role. After all, they will be here long after we have gone. Our team understands the interests and needs of travelers, how to help them engage with the local culture, and how to make their trip as exciting and meaningful as possible. We are deeply committed to responsible travel in Sumatra, and have the passion, connections, knowledge, and sustainable ethic that will set your mind at ease as you plan your next adventure. Below are just a few of the folks we’re lucky to be working alongside. Kerinci is one of the best kept secrets in Southeast Asia – come discover it with us! 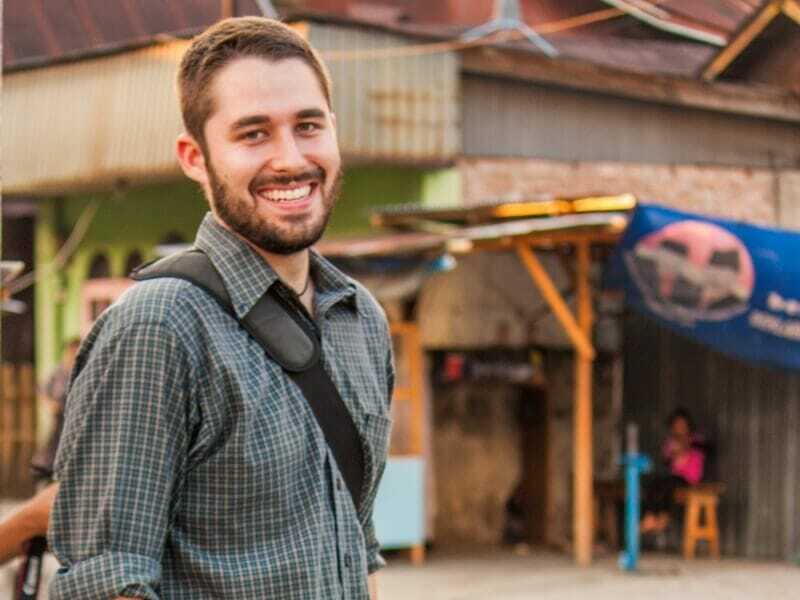 Luke grew up in SE Asia, but in the huge mega city of Manila. From the moment he moved to his passport country of the US, he always yearned to return to Asia – but to a more natural, wild setting. For him, Kerinci fits the bill. One certainly can’t get much more natural than an isolated valley completely surrounded on all sides by one of the largest protected areas in Asia, where tigers, bears, and gibbons still roam. Luke hopes that in some small way Wild Sumatra can contribute to the conservation of the enchanting and magnificent forests in the area, and to the prosperity of the wonderful Kerinci people. He lives in Sungaipenuh with his family. 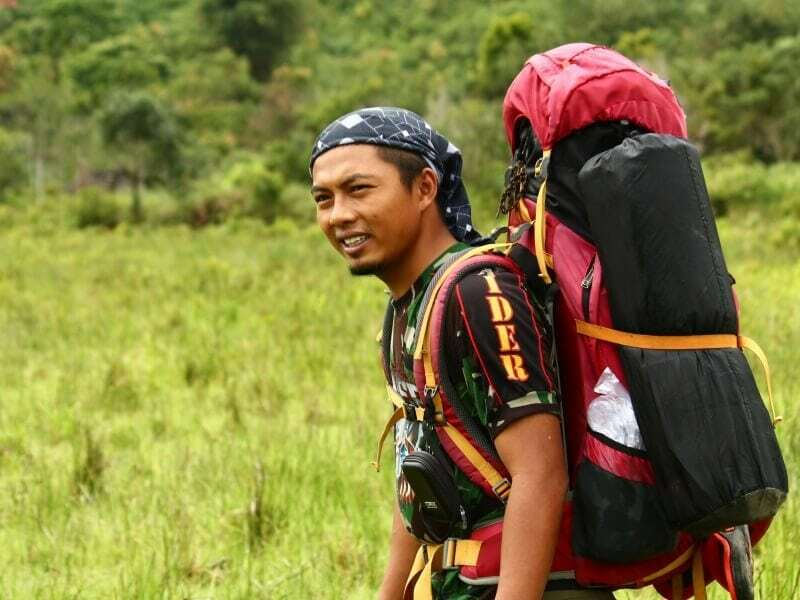 Zacky is a leader in the local nature lovers club “Pencinta Alam.” From the village of Lempur in southern Kerinci, his favorite treks are to the many lakes surrounding Lempur, especially the lovely blue Lake Kaco, and to the active volcano Gunung Kunyit that towers over his village. Members of the Pencinta Alam club actively patrol the forests in their areas in their free time, looking to discourage bird hunters, poachers, and encroachers, and clean up any rubbish that they may come across. Very knowledgeable about the forest, Pencinta Alam members look forward to showing you their piece of heaven. Arwan is the real deal. An expert in the forest, Arwan is adept at identifying a host of edibles for foraging, animal tracks, bird songs, and all things wild and wonderful. Starting out with almost zero English and no guiding experience just a few years ago, it’s been amazing to watch his incredible progression – quickly becoming one of our top guys, with his natural passion for and knowledge of the natural world. 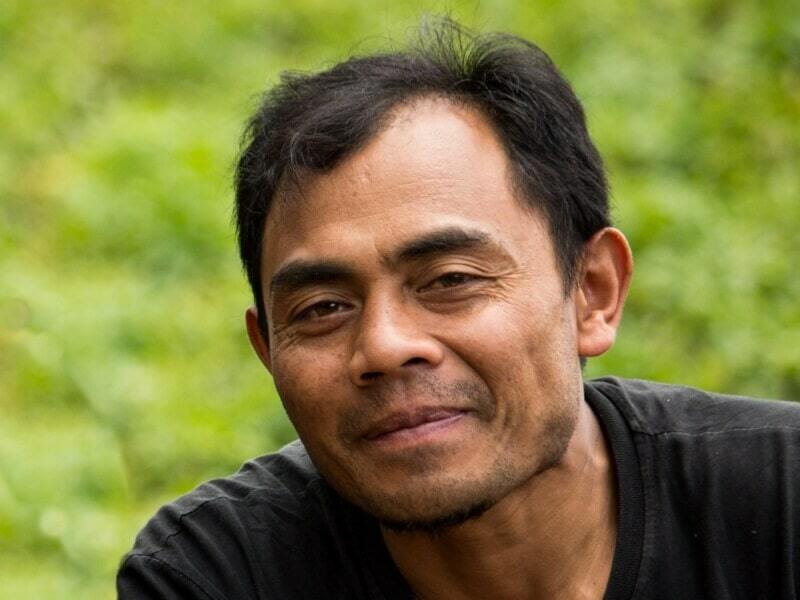 Arwan’s favorite trek is the long Sumatran Tiger Trek in the rainforest south of his village, although he finds great joy anytime he’s under the forest canopy. He lives in Lempur with his family. From the village of Kersik Tuo, Pak E’en has been guiding visitors for over 15 years. He easily holds the record for the most summits of Mt. Kerinci – over 650 times and counting! He is a senior guide in the region, and works to organize, train, and advocate for guides throughout the area. He has a deep knowledge of the area’s ecology, and has an infectious enthusiasm to match. Pak E’en also recently opened a small, simple homestay to accommodate visiting explorers. An avid birdwatcher, Endatno Een’s favorite treks are to the Ladeh Panjang Wetlands and, of course, to the peak of Mt. Kerinci. 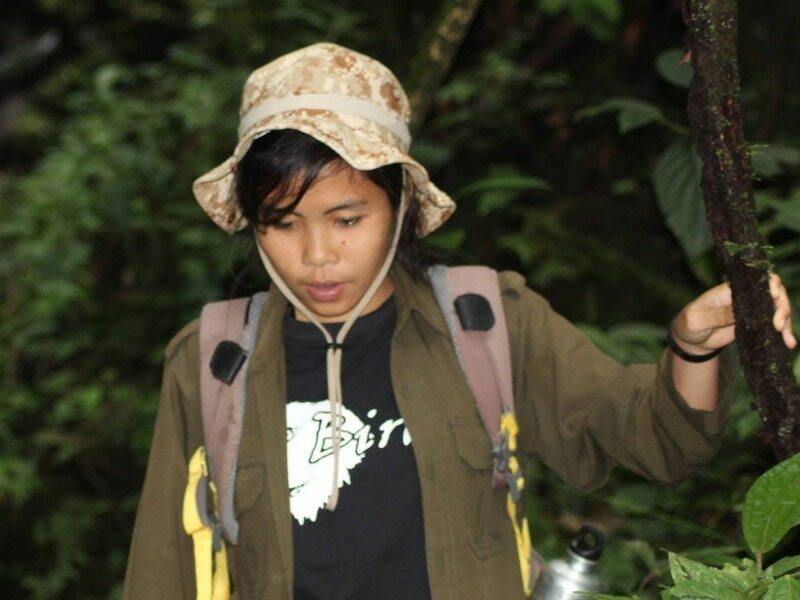 One of our newest member of the Wild Sumatra network, CheiMel is one of the very few female guides in the Kerinci region. From Sungaipenuh, in the center of the Kerinci valley, she often brings people to the nearby Bukit Tapan on birdwatching and wildlife safaris. She also enjoys climbing Mt. Kerinci and trekking in other areas just as much. As a keen birdwatcher, she has been an active member of the Kerinci Bird Club and other local ‘twitcher’ communities, frequently taking part in bird surveys throughout the valley. CheiMel’s just as excited to explore the beautiful forests of the region on her own as she is to share it with guests. Ricky hails from the village of Kersik Tuo, at the foot of the towering Mt. Kerinci. He enjoys taking trips all around the Kayu Aro and Gunung Tujuh area of Kerinci – from the Pauh Tinggi waterfalls to the Goa Kasah caves, up to the cloudy and mysterious Mt. 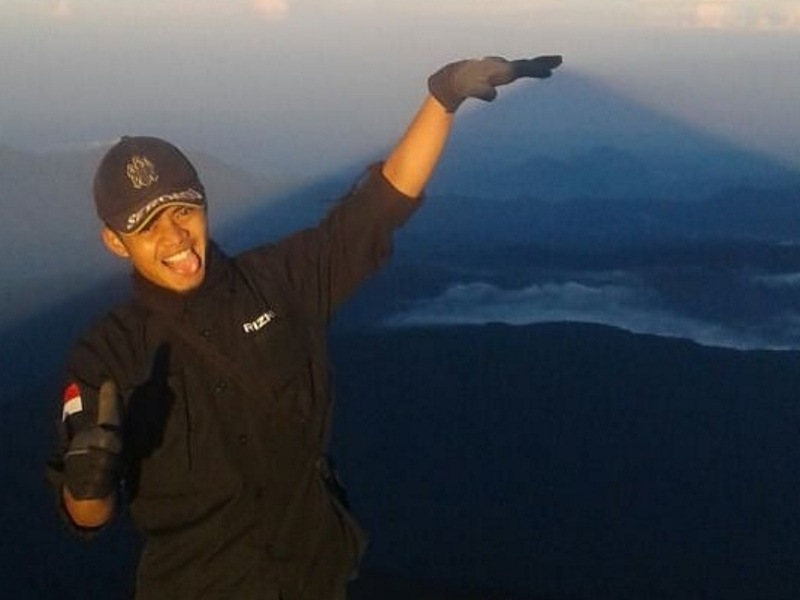 Tujuh, and of course to the top of Sumatra – the steaming peak of the mighty Mt. Kerinci itself. While young, he is skilled beyond his years, and has seemingly limitless potential with his ability to quickly learn and continuously grow. You can tell he loves to be in the forest by his huge smile, and the sense of bliss and good humor that emanates off of him even after a long day of hiking.